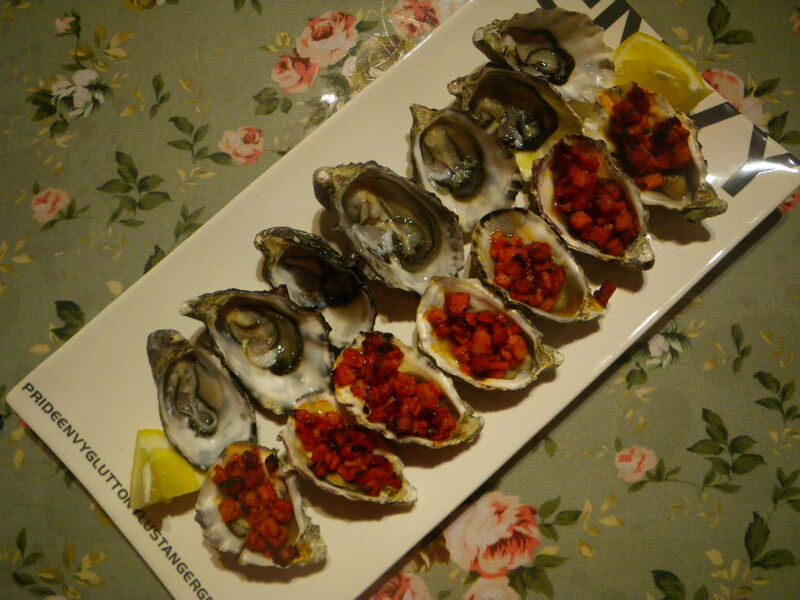 Oysters, probably the most acceptable seafood in both eastern and western countries, were placed on my table last week. They arrived together with a bunch of other fantastic and super fresh seafood varieties from Austar seafood warehouse from Port Lincoln. Oyster eating has been in human history since the early times and although cooking method varies between the East and the West, from Japan and China to Australia, Europe and the US, people are always in love to search for good oysters. Depending on the species, oysters can be eaten raw or cooked. There are many species of oysters in the world but in Australia, we got three types, the Pacific, the Sydney Rock and Angasi Oysters. Sydney Rock oysters are native to Australia around east coast and I will try some out in one week’s time when in Sydney. 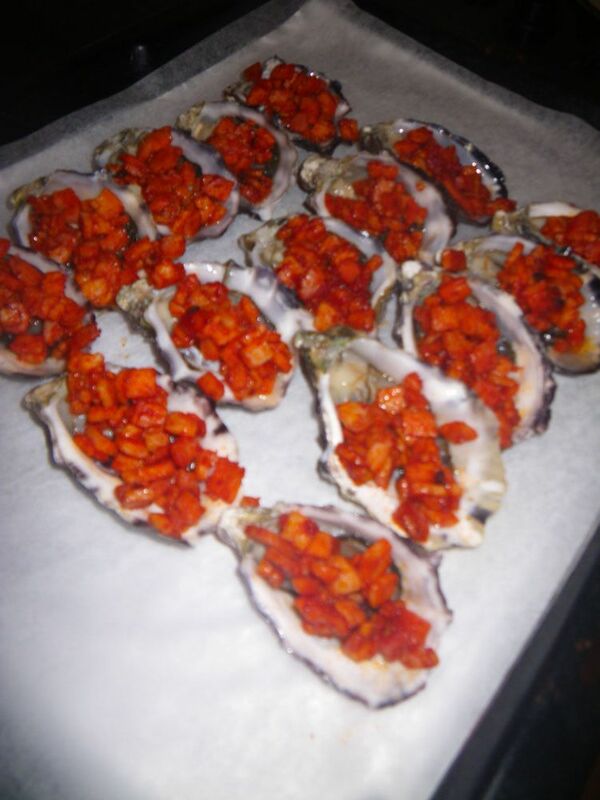 Angasi Oysters are native to Southern Australia and sometime it can be referred to as mud oyster or Port Lincoln oysters. However, I’ve never seen any in South Australia. If anyone know where I can buy them, please let me know. Our famous coffin bay oysters belong to Pacific oysters, which are also named Japanese oysters as they are native to Japan. This type of oyster was introduced to Australia in the 1940s and the farming is currently restricted along the East Coast as the Pacific oysters compete with native species such as Sydney Rock oysters for resources. The coffin bay oysters I had was unopened and live. I was very curious before receiving them how live these little creatures can be but once I opened them, I experienced the real differences between live and freshly shucked oysters and the ones in shops. To enjoy these oysters, I also had my very first experience to shuck and oyster, which seemed to be very easy but took me a good 20 minutes for 21 oysters. 1. 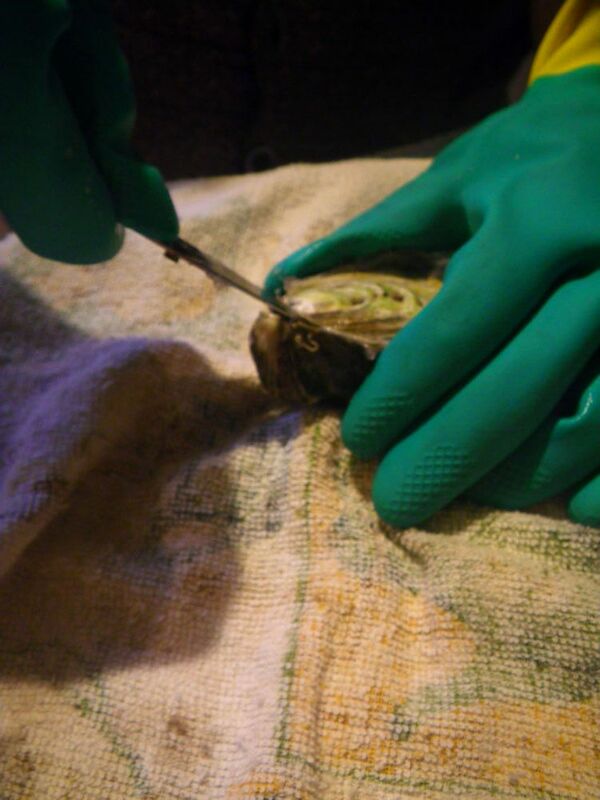 Make a tiny flat surface at the hinge of the oyster and insert the knife. 2. Twist and wriggle the knife further into the shell. 3. 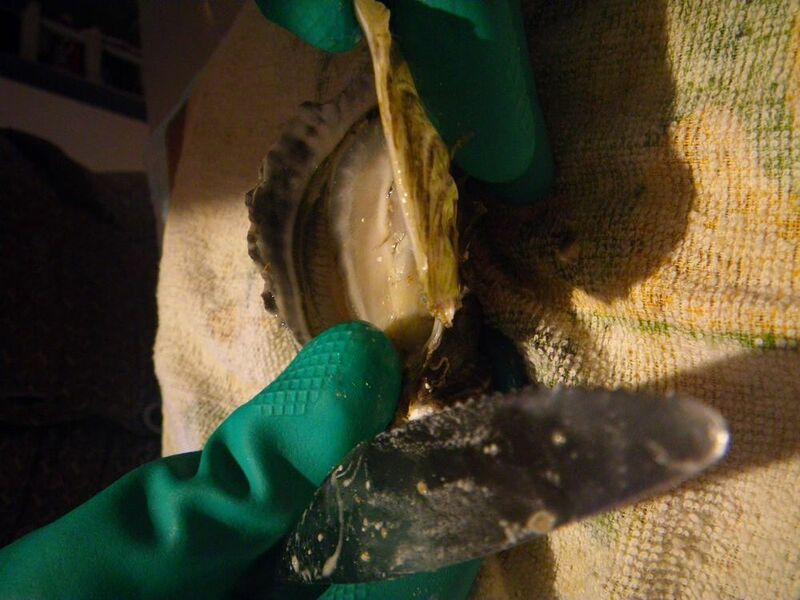 Twisting the knife to lever the top shell of the oyster and hence it opens automatically. Make sure you scratch the top shell to get all meat off. After opening it, I had an immediate sip. OMG! It was wonderful! The juice contained was full of brine and a refined sea freshness came into my mouth directly. 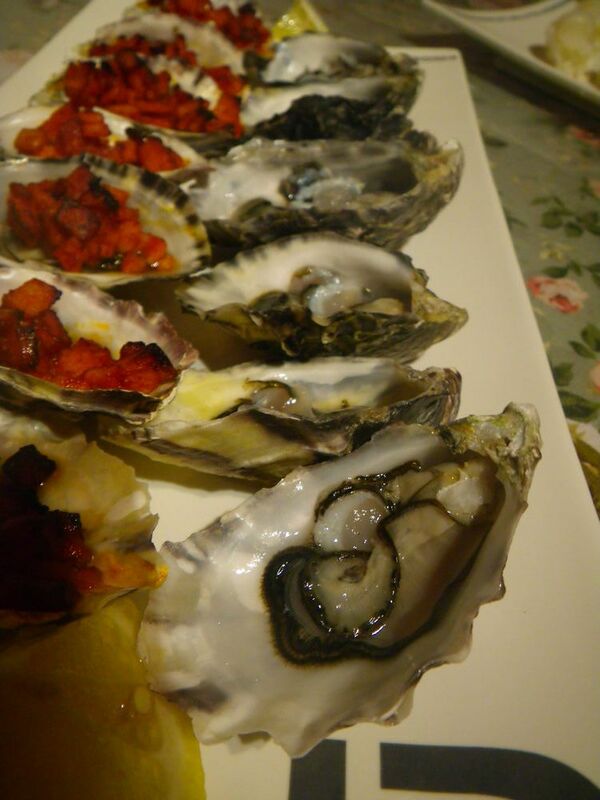 The oyster tasted fabulously with good sweetness and balanced saltiness. A concentrate of fresh seafood flavour was experienced and a hint of sweet melon and fresh cucumber was also detected. The texture was smooth and some creaminess whereas the size of these oysters were generally very good. 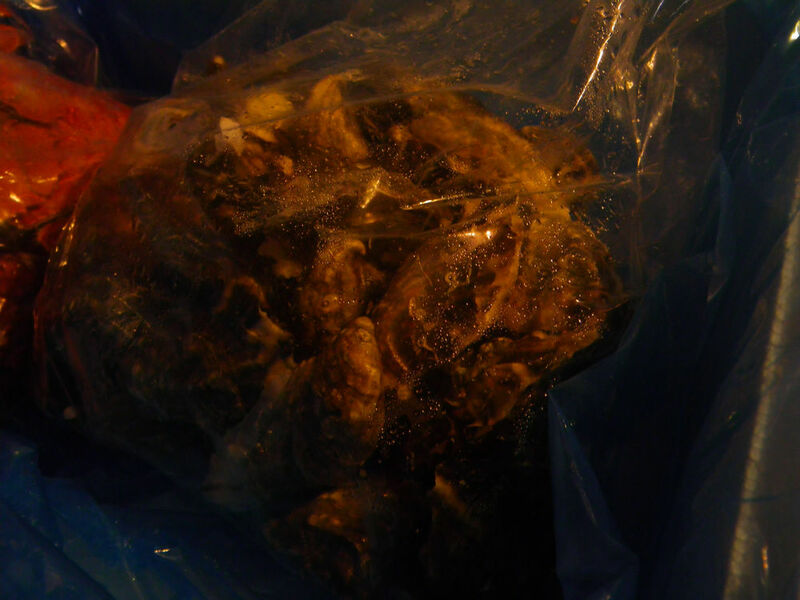 Initially I wondered how live these oysters can be but after opening them, I heard lots of bubbling and buzzing sounds which was an indication of the freshness. We know that oysters are versatile to cook. 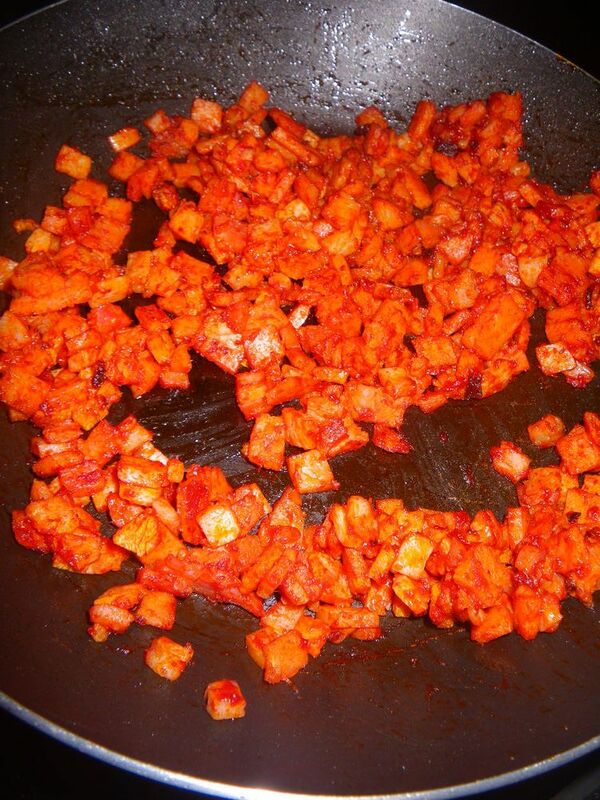 They can be cooked kilpatric or with red wine/white wine, etc. Hence, I had my oyster two ways. The natural oysters were served with lemon wedges. The oyster kilpatrick recipe is attached. 1. Cut speck into small pieces. Heat oil in the pan and add in the speck, tomato sauce and Worcestershite sauce, Stir until the speck roughly cooked. 2. Top the oysters with the contents in part 1 and bake in a preheated oven at 150 oC for 10 mins or until the oysters are thoroughly cooked. Coming up next is a Japanese popular rice and beef dish, Gyudon! I decided to block you out! 😛 Joking! You always make me hungry at night. Off to get some juice now. 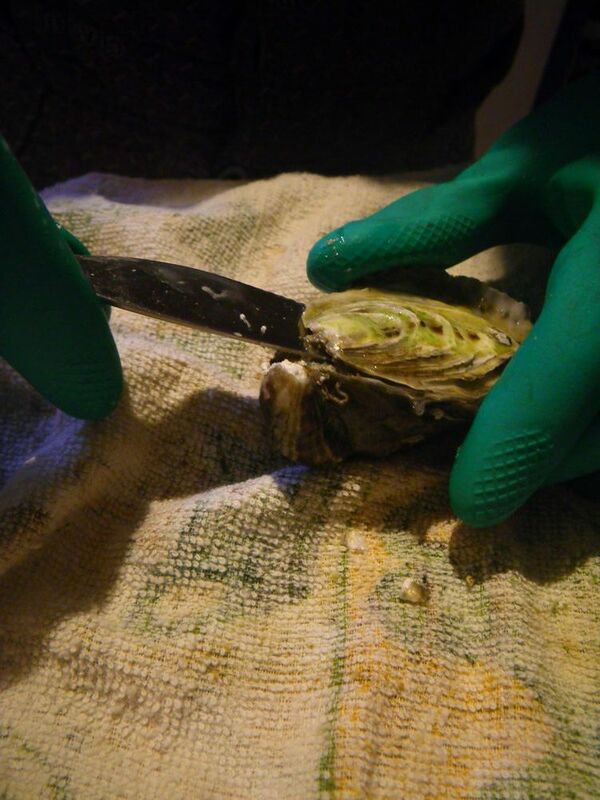 It is not that hard to shuck an oyster from your post. I’d love to try some of them myself. No, not at all. Shucking oysters is a great fun! 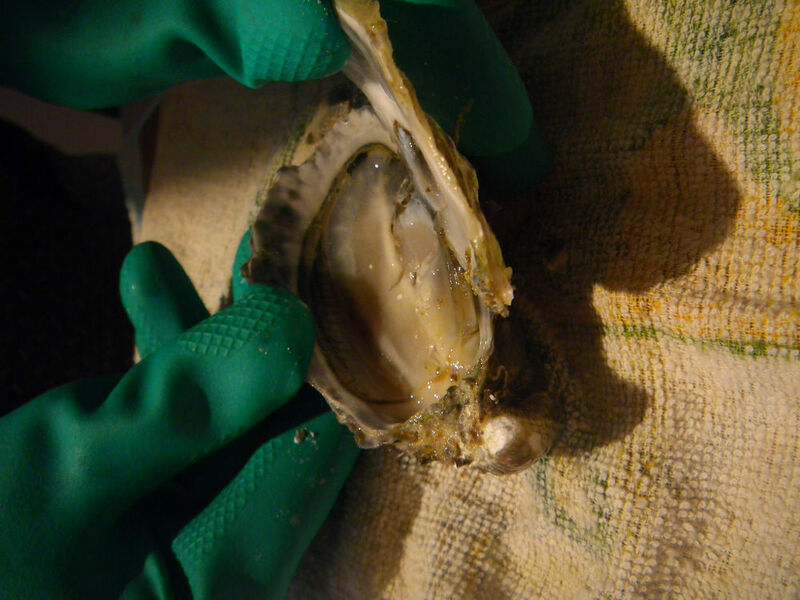 You should really try to open some oysters yourself and I am sure you will love the process! your hand and the knife, the knife can slip easily. Oh, thanks! It’s really helpful. I’ll be heading to the market to see if I can find a shucking knife. I actually used a dish towel in the process later on cos the glove got really slippery :D. Cheers! Buy yourself an Original Oyster Shucker Holder and you will surprise yourself how easy and clean this makes opening an oyster bought one at Boat Supplies Port Lincoln. Comes complete with an oystyer knife and is held in the Oyster unit. Great SA Product.